The Ghan and Indian Pacific. 6 December 2019 and 27 January 2020, embracing the wonders of Australia’s south-east corner. 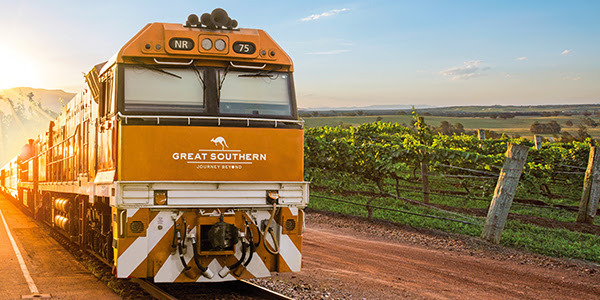 Departing Fridays, the Adelaide-Brisbane journey includes touring in The Grampians, Canberra and a special beachside dining experience on the Northern New South Wales Coast. 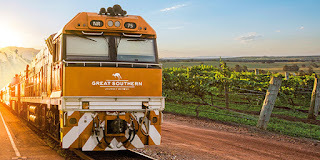 Departing Mondays, the Brisbane-Adelaide journey features a beachside dining experience on the Northern New South Wales Coast, as well as time spent in the stunning Hunter Valley wine region and at the incredible Twelve Apostles.